150W a 8 ohmios, 250W a 4 ohmios. Entradas RCA y XLR. Brinkmann Mono The complete spectrum of Music. No limitations! Neither at very low frequencies nor on the fastest transients. The most subtle colorings within the midband are fully available. 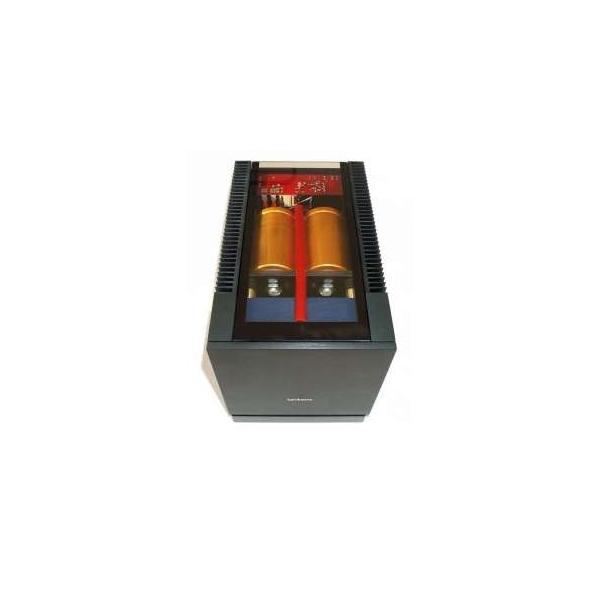 As modern loudspeakers are built to reproduce a very large musical bandwidth at high pressure-levels while maintaining nevertheless an exact musical flow, they definetely crave for amplifiers exhibiting full control under these conditions. This demands for the least loss in signal-transfer. To accomplish this, a perfect interplay of all components involved is asked for, but quite often the circuit-designs are limited by the loss generated within the components and other interferences. To prevent these interferences or at least reduce them to a minimum we have used a symmetrical circuit- topology. All ampifier-stages are doubled : they carry the signal in either the original wave-form as well as in an inverted one, which is phase-shifted by 180 degrees. In the output-stages the two signals are fed back together to form one signal again. This cancels out any possible component-coloration and all other interferences and allows for an uncontaminated flow of music. Thus the symmetrical topology of our preamps finds its obvious continuation in the symmetrical input-stages of the MONO amps, which are equipped with both XLR and phono-sockets. Asymmetrically driven, the not needed cynch connectors are shortened by short-circuit-plugs which are delivered in the basic support of the amps. 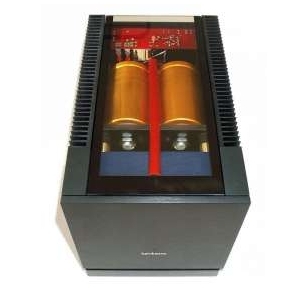 The extremely impulse-proof powersupply, built around a 5oo VA transformer which allows for shorttime power in excess of 15oo Watts and four large Roederstein condensers, the very compact construction with the shortest possible feeds plus four high power output-transistors made by Sanken which are directly feeding the output-terminals through a Diamond topology output-stage without negative feedback allow for a 2MHz fast output of power for an uncompromised musically compact and tonally balanced flow of music with any kind of loudspeaker! Although there is no negative feedback used in the output stage it remains of low ohmic resistance at any phase-angle and at all frequencies. The output-stage is driven by a line-driver stage, which is built around the same topology and circuit design of our preamps. As the MONO amps are DC-coupled, a DC-detection-circuit prevents offset from a preamp to generate DC at the output-stage: the amps are immediately muted! VT80SE -- Línea. 2x 75W a 8 ohmios. 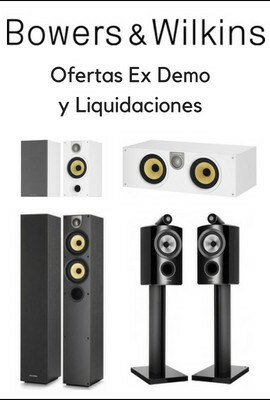 Entradas RCA y XLR. Válvulas: 2x KT120, 2x 6H30. Etapa monofonica 600w. Entradas RCA/XLR. Trigger 12v.